Check the "NEWS" page for site update briefs. Changes and additions occur on a regular basis. 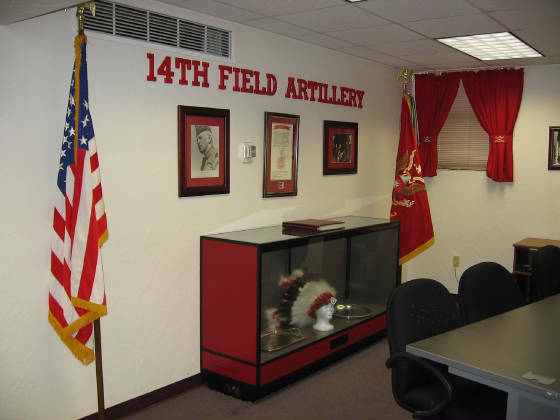 With which battalion of the 14th Field Artillery were you assigned? Welcome to the home of the 14th Field Artillery Regiment, the Satanta Regiment. Since the Regiment was formed in 1916, six battalions have seen service. Two battalions served in Vietnam. All six battalions have made significant contributions to the Army and to the Nation. All are part of our distinguished history. Please take some time to look through the site. You will find an abundance of information. There are over 250 images/photos throughout the site. Time waits for no one. If you really want to reconnect with those that wore the same crest, act now and join us. You won't regret your decision. 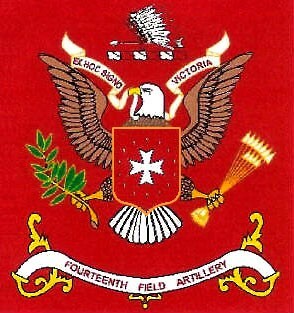 Each battalion of the 14th Field Artillery has a long and distinguished history. 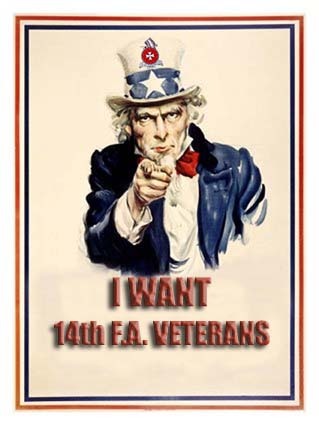 Those that served with the 14th have much to be proud of. Your contributions have been many. There may be someone on the Regimental Roster that you know. 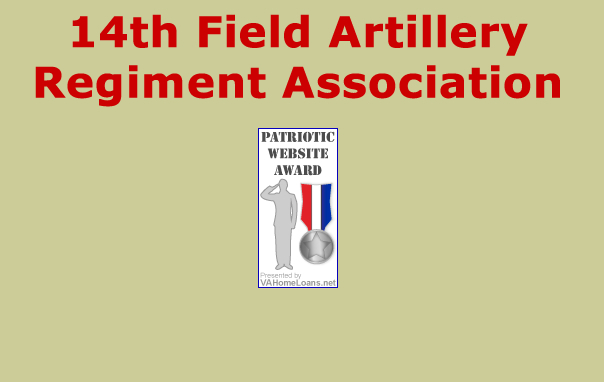 If you are in contact with other 14th Field Artillerymen that are not on our roster, please let them know where to find us. Our goal is to reunite the veterans of the Regiment and to contribute to the preservation of the distinguished regimental history. 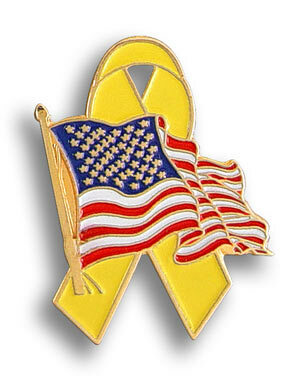 The Fourteenth has served in Europe, Vietnam, Iraq, Afghanistan, and at various Posts in the United States. Every Fourteenth Artillery Veteran has made a great contribution to the Nation and to the Regiment. We are "The Satanta Regiment". The 14th Field Artillery regimental crest reflects the heritage of the American Indian and of Chief Satanta, War Chief of the Kiowa tribe. A full description is on the "Crest" page.